Mike Remembers: My most vivid memories of the Fireball II Pinball Machine were at a corner store in Vanier up the road from my friend’s place. The three banks of drop targets and both close in and long sweeping shots, combined multi-ball and speech made it a great package, sort of Skateball meets Eight Ball Deluxe, with one of the best art packages to ever grace a mirrored glass. It is a very challenging game as well and very difficult to obtain multi-ball. This was usually made even more difficult when the qualifier targets so close to the upper flippers were not set up correctly with with properly functioning capacitors. The good news is, this is another Pinball Medics Custom Shop Black Label Pinball Machine. This includes a complete LED conversion with custom lamp drivers, LED displays, rebuilt and upgraded processors and power supplies, and much more. And the reason it has black rubbers like newer dot matrix games? We put in our signature flipper upgrade system with matched parallel wound coils, and the old white rubbers don’t last more than a couple of days with these fire breathing monsters! And yes, the aforementioned caps on the qualifier targets have been replaced and all switches are working flawlessly, so Demon catching has never been easier. 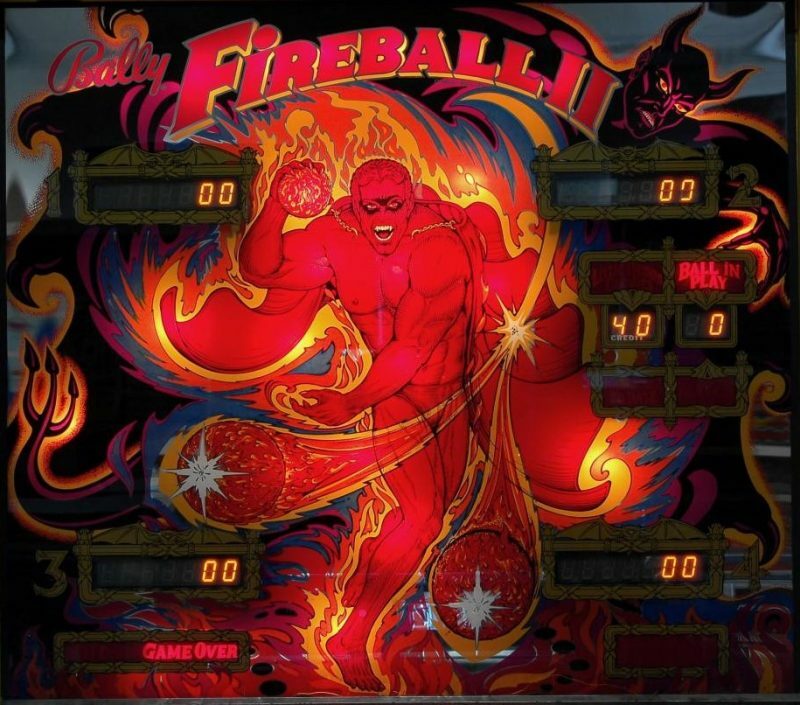 Don’t take our word for it, come experience the ultimate Fireball II for yourself, and find out why the Ottawa Pinball Arcade is renowned for having the best playing Classic Pins in the known Universe. In this era or that from which they were forged! Unauthorized use and/or duplication of any material on this site without the express written permission from this site’s owner is strictly prohibited.